Dominical, Costa Ballena Costa Rica, all Natural Beauty and Local Flavor! Dominical, Costa Ballena South Pacific Costa Rica, all Natural Beauty and Local Flavor! 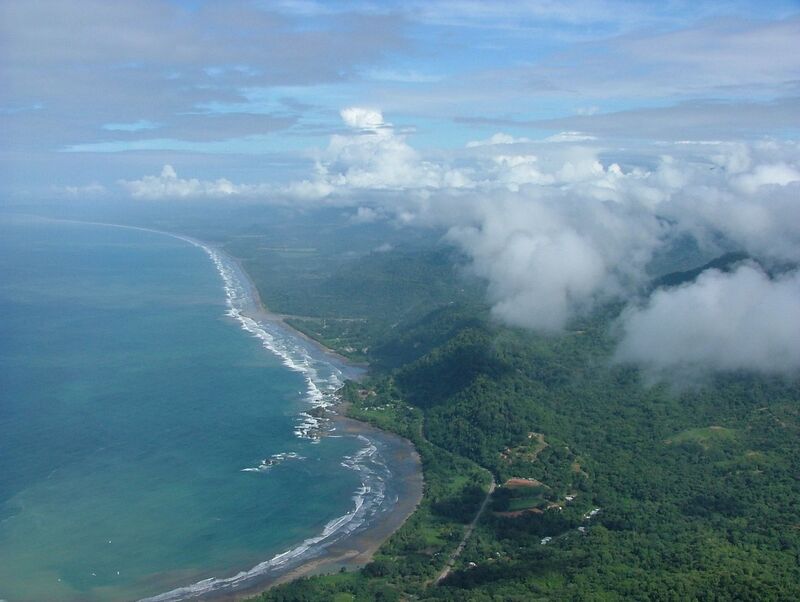 Dominical is the gateway and the first beach of Costa Ballena. It has a relaxed atmosphere, and it is well known in the surfing world, a real surfer’s paradise. If you are new to the sport, there are schools that give classes for enthusiasts. Dominical’s beaches have strong currents. Be cautious, and enjoy the ocean, preferably close to the lifeguard station. Other ways to have fun are diving – snorkeling and canopy tours, have a refreshing dip in Poza Azul – a waterfall near Dominicalito, or simply walk along the beach. Local tour operators can provide you with a broad range of activities in the area. There are accommodations for all budgets and tastes; however, you should call in advance to ensure your stay. Here you will find cybercafes, ATMs, all kinds of businesses, beauty salons and massage rooms, as well as a dance school. With the local artisans you can buy handmade crafts and paintings. Every Friday Dominical celebrates an Eco-Market at the patio of the Patron´s Restaurant. The sunsets are beautiful, either by the riverside or the beach. After witnessing this natural display of beauty, you will be able to enjoy international cuisine or tasty local food. No doubt, the nightlife is, the most exciting aspect of the visit: nightclubs, beach parties, concerts, and live performances are a part of the experience called “pura vida”. Looking for something? Check out our business directory! Click "Playa Dominical Surf Report and Forecast"